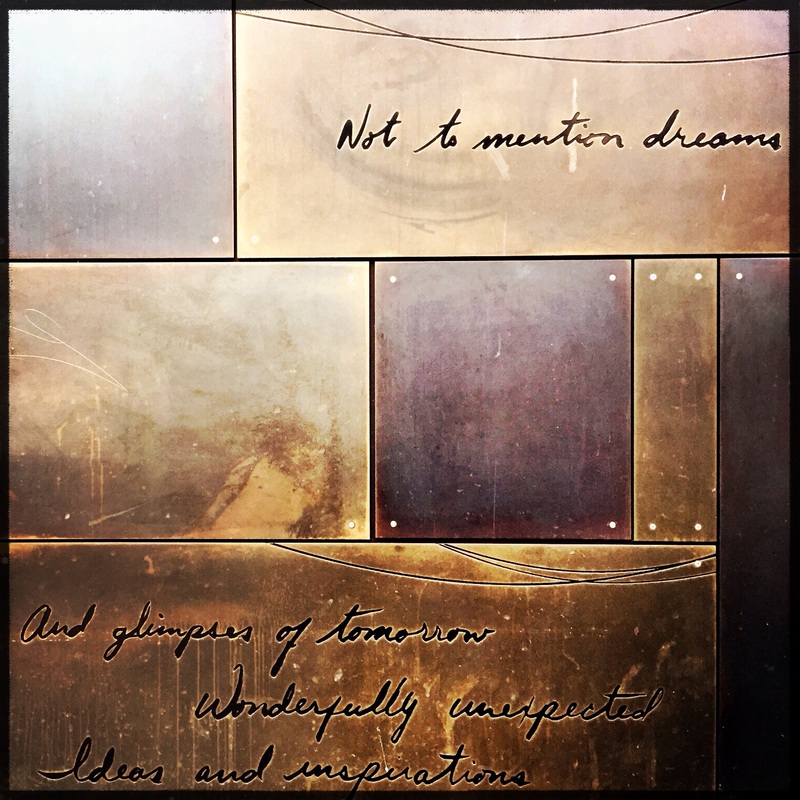 I don’t know how many times I’ve walked past this wall of bronze tiles outside the Westlake Park Starbucks in too big of a hurry to notice what was happening around me but last month I finally slowed down enough to see several of them are actually inscribed with interesting quotes. I’ve since returned twice to photograph a few of my favorites and am posting them here today as part of Lens and Pen by Sally’s Phoneography and Non-SLR Digital Photo Challenge: Challenger’s Choice (street photography). You have a sharp eye. I might have missed these also. But I love the composition — both the quotes and the aging tiles. It is amazing what we can discover when we give ourselves permission to slow down and see what is before us. These are engaging, especially the combination of hues and simple designs of the tiles and the soft handwritten quotes. Happy Photo Challenge. It’s fantastic all the cool stuff we discover when we take a moment to slow down and observe our surroundings. Awesome! HUH!! 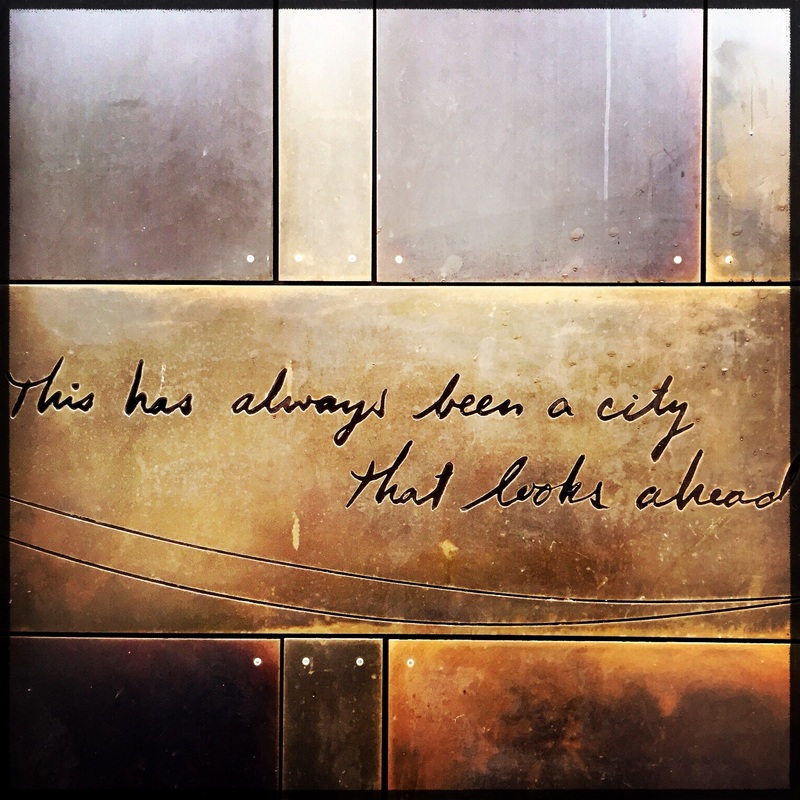 walked by there many times and never looked…. Wish more buildings could incorporate quotes, they add so much interest. This wall is beautifully done with the inspiring quote! Cool idea! Great shot! Love the tones and textures! mmm, nice! words, colors, media – all somehow remind me of a cinnamon spiced coffee. Very tasty! What a wonderful comparison. 🙂 Thanks! So am I, Jo. 🙂 Thanks for your visit today! Well spotted and presented, Lisa. With my travels and lack of internet, I’m late to the party this week, but glad I saw these.